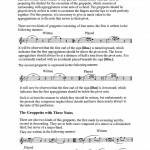 The Arban Method (La grande méthode complète de cornet à piston et de saxhorn par Arban) is a complete pedagogical method for students of trumpet, cornet, and other brass instruments. The original edition was published by Jean-Baptiste Arban in 1864 and it has never been out of print since. 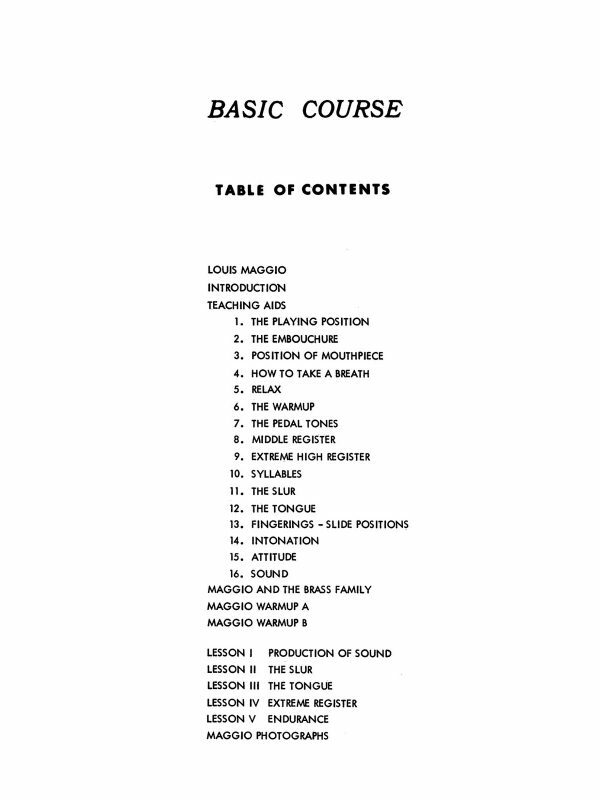 It contains hundreds of exercises, ranging enormously in difficulty. 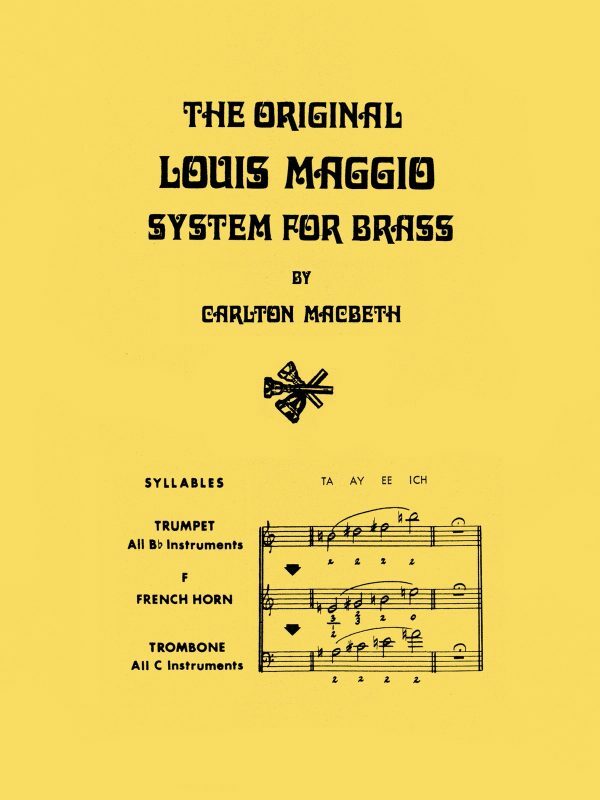 The method begins with fairly basic exercises and progresses to very advanced compositions, including the famous arrangement of Carnival of Venice. 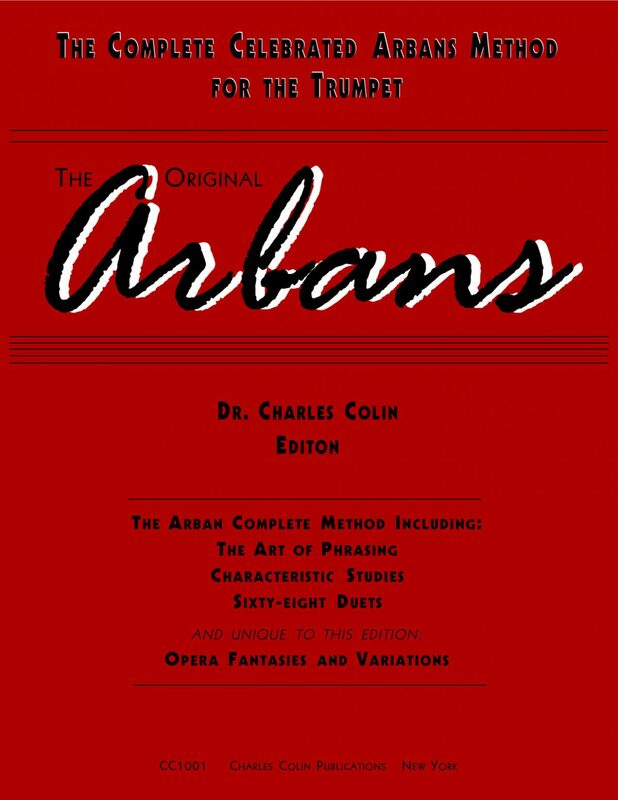 This Charles Colin edition of the Arbans Method includes the before unpublished “Opera Favorites.” See complete description below. 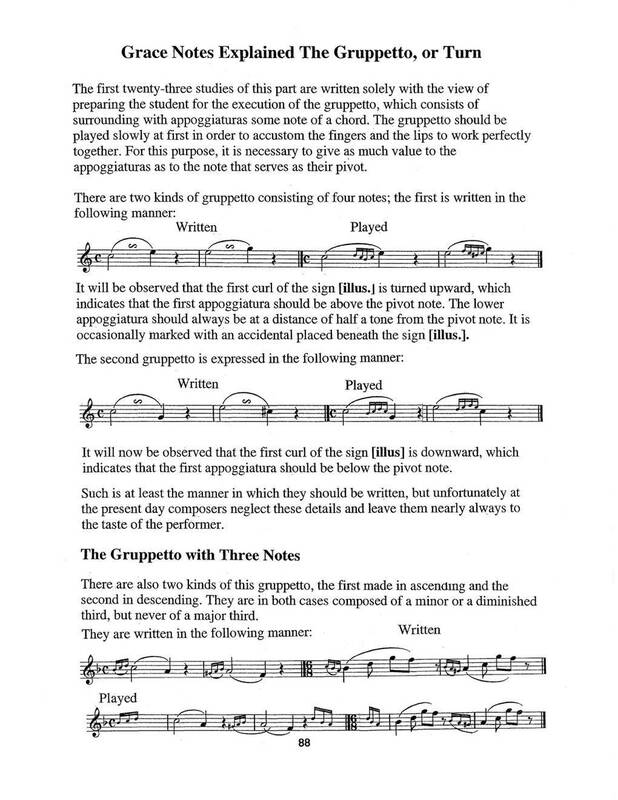 Mr.Arban then truly begins his method with a focus on tone (Studies 1-10). 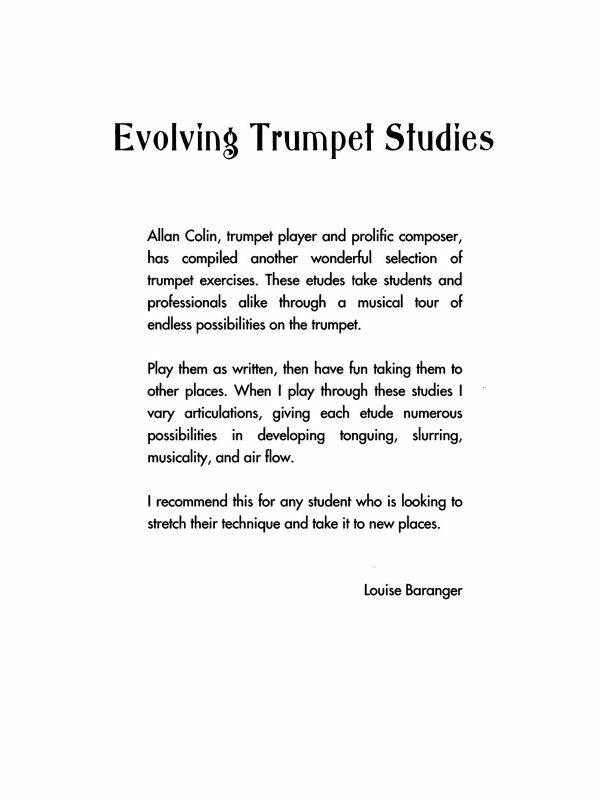 The next studies (11-50) familiarize the student with fingerings, develop his or her range, and instill a habit of precision in attacking the notes. 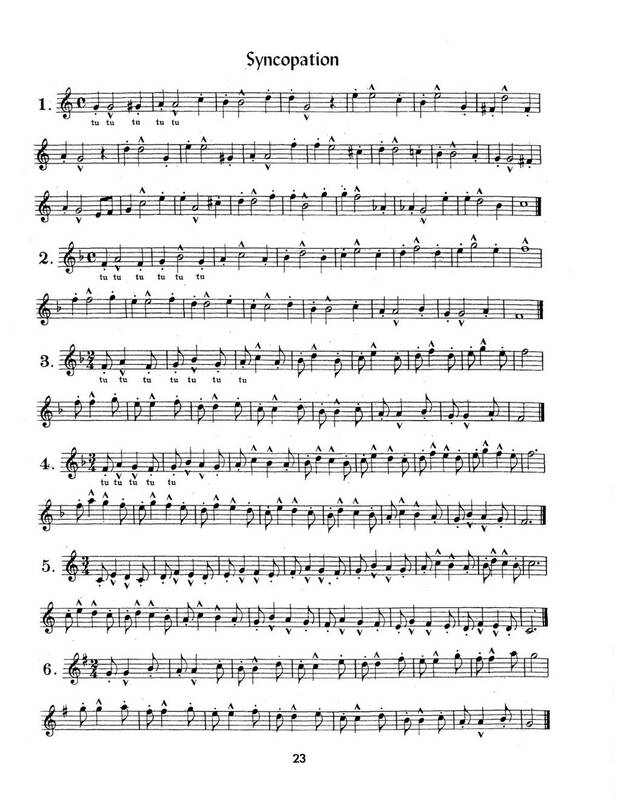 In the next section, which is devoted to syncopation, goes from a simple quarter-half-quarter rhythm to a sixteenth-eighth-sixteenth repeated rhythm. Next, Arban focuses on the dotted eighth-sixteenth and eighth-double sixteenth rhythms. He ends the First Studies with 10 studies on the 6/8 meter. Professor Arban devotes the next section of his vast method to slurring or legato playing. He begins with simple slurs that are accomplished by the variation of valves. He suggests pronouncing “taw-ee” while playing. The editor recommends adding little more air on the top note. (Such a technique is also needed to accomplish trills.) 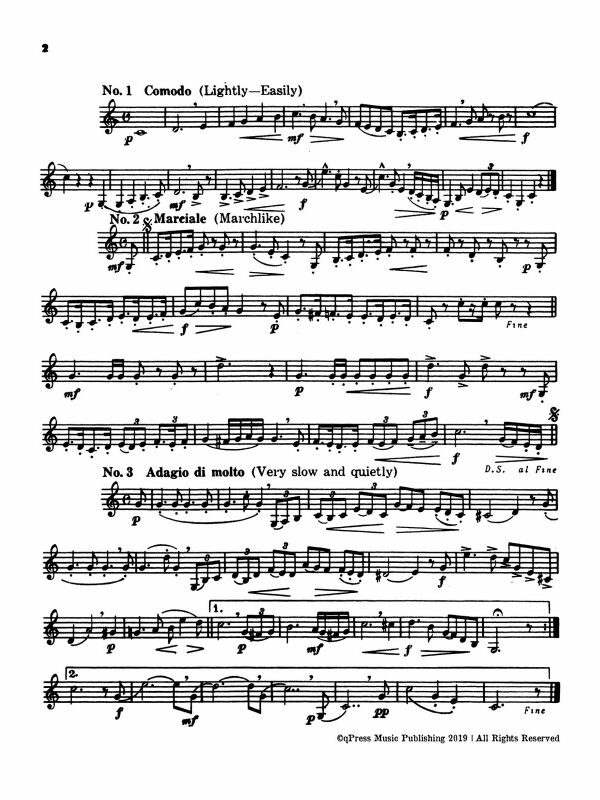 Arban devotes half of this whole section, though, to lip slurs. He concludes this section with a series of advanced studies combining slurred and staccato playing. Next, Arban teaches the student the various ornaments that can be played on a trumpet or cornet. He details the simple appoggiatura, grace note (short appoggiatura), portamento, double appoggiatura, the turn, the trill, and the mordent. 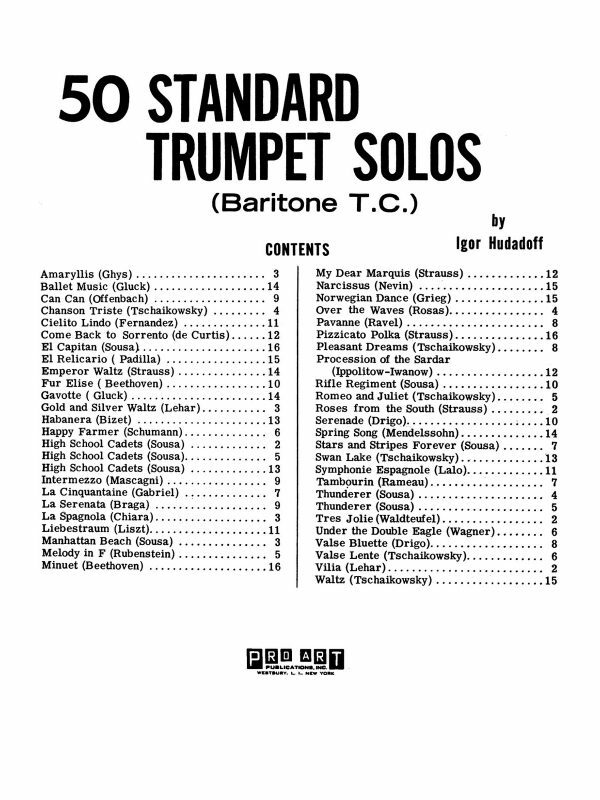 Arban concludes the fourth section by combining the various ornaments and integrating them into various tunes. Next, Arban focuses on triple tonguing, double tonguing, and fanfare tonguing. 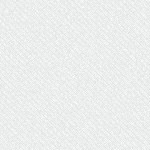 Arban uses various “tu-ku” pronunciation combinations, and Gordon subsequently replaces these with “tee-kee” combinations. 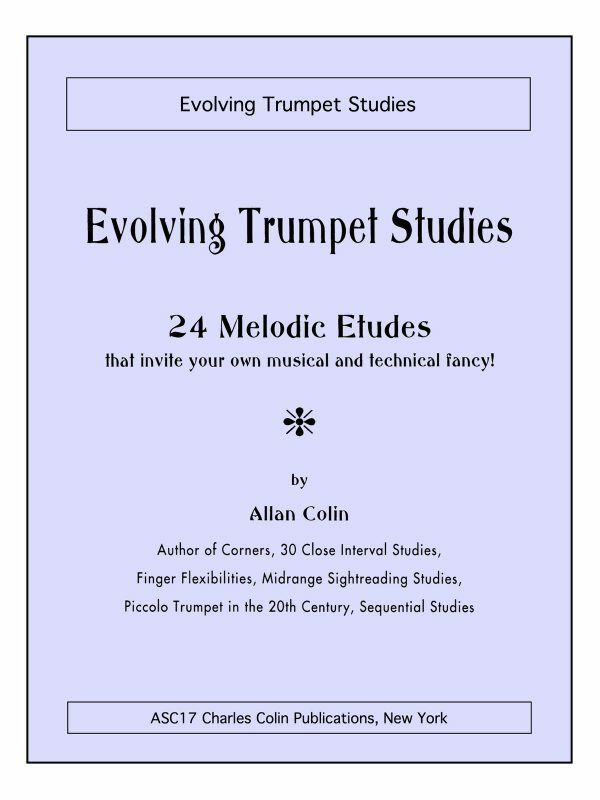 In his studies on double tonguing, Arban includes a score of studies in which he combines double tonguing with slurs occurring on various beats and within them. 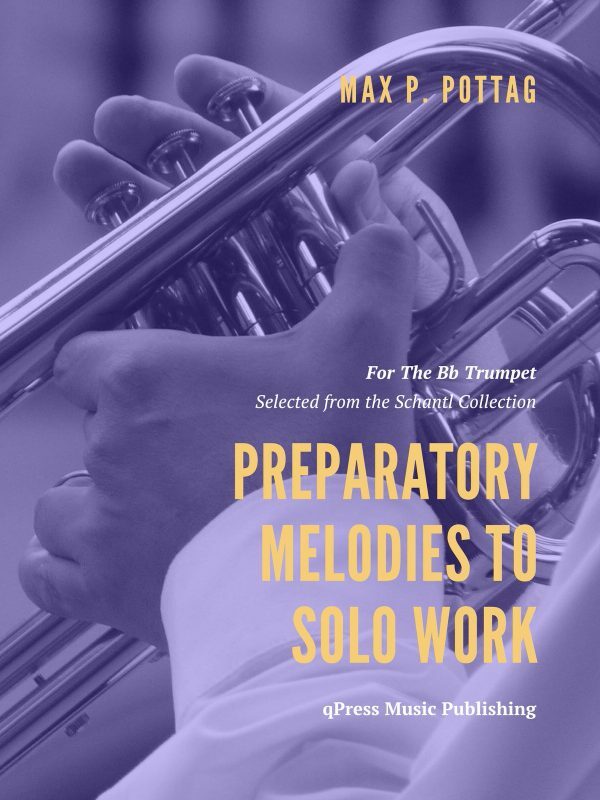 Now that Arban has taught the student his or her basics and instilled within him or her all the best of playing habits, he integrates these into performable songs. 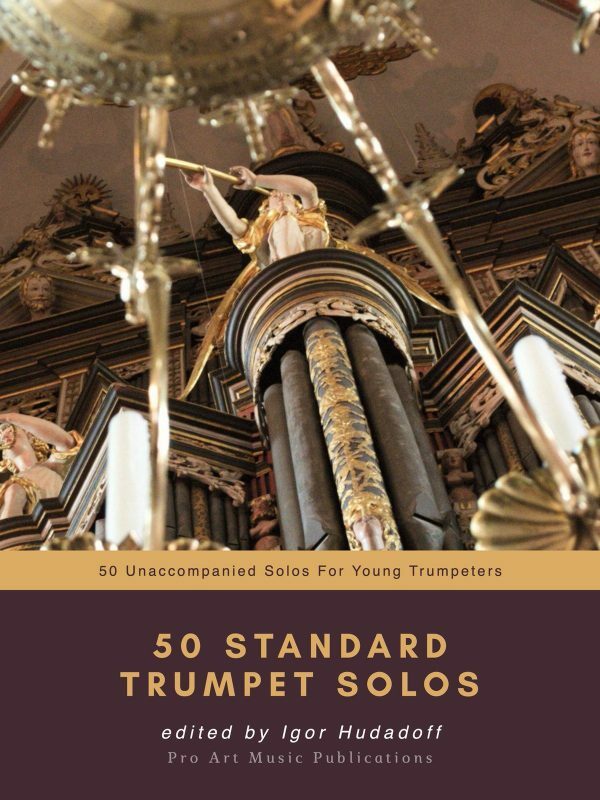 These include his popular etudes. 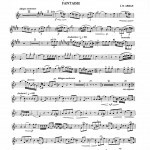 As in his other sections, Arban progresses from simple pieces to more challenging ones. All of these, however, require their performers to be perfectly synchronized with one another. 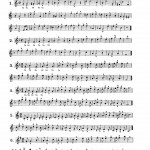 Even in the simplest of duets, it is necessary that they already have mastered the basic studies Mr. Arban initially prescribed. Those of my readers who want to attain perfection, should try to hear good music well interpreted. They must seek out the most illustrious models, and purify their taste, verify their sentiments, and bring themselves as near as possible to that which is beautiful. These passages are exceedingly challenging and are longer than all of the previous sections’ pieces. Each is a full page long, and they crescendo in difficulty as they progress; the fourteenth study is two pages long and the only piece in this section in 12/8 time. In addition to the eleven fantasias (fantasies) for B-flat trumpets, there is one for the A cornet (“Fantasie and Variations on Acteon”). 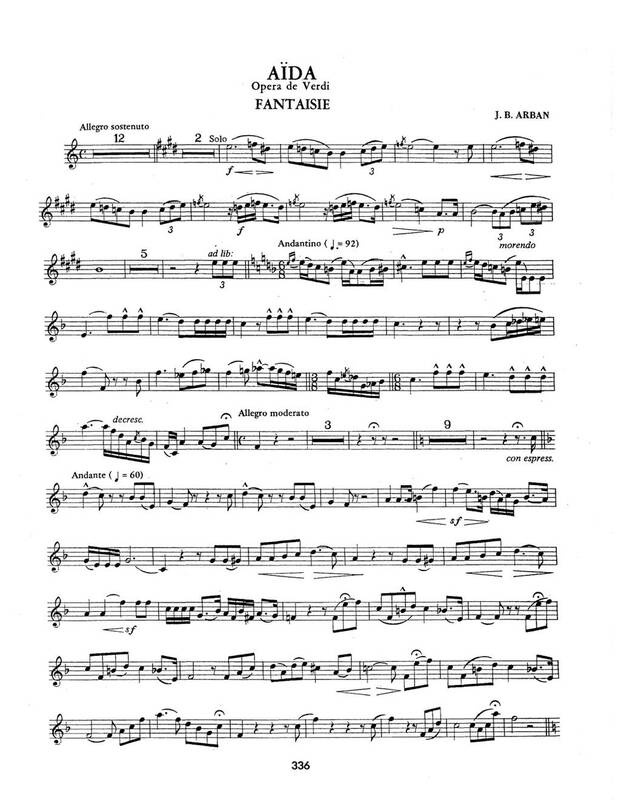 Arban’s celebrated composition “Fantasie and Variations on The Carnival of Venice” is the eleventh fantasia in the list. 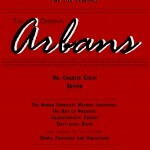 Specific to this edition, Opera Favorites and Variations, a set of Theme and Variations on various opera melodies by Arban himself.